Wonder Woman; A Hero The World Needed! When the universe was created, it was almost destroyed by the wrath of the first storm called the God Tempest. Odin used a specialized metal to trap the storm’s power. The metal was later used to make Mjolnir. Thor calls, Mjolnir comes flying back to his hand. But the connection runs deeper than you think. In one issue, Thor explains to Namor that his hammer will pierce the heart of a planet if need be to get back to his master. Thor was once tricked by Adolf Hitler into killing an innocent man. He later rectified his mistake by making Mjolnir absorb back the energy that killed him, effectively resurrecting a dead guy. A bloodsucker can be killed with garlic, wooden stakes to the heart and religious artifacts. 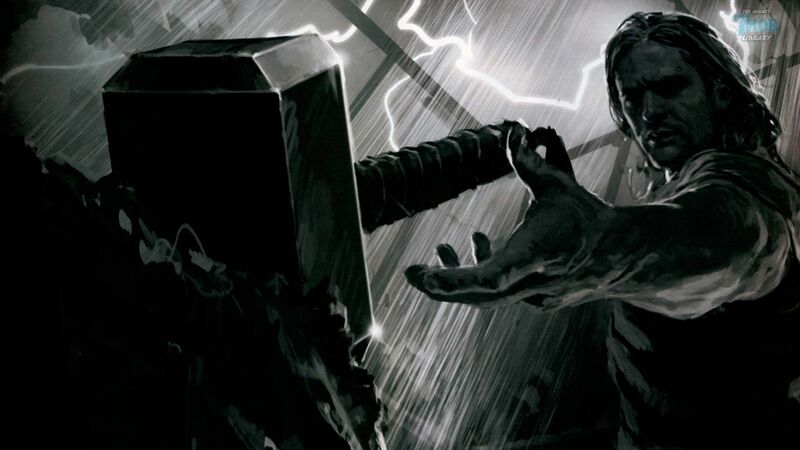 Thor’s weapon is a sacred weapon of Norse Mythology and thus qualifies as a Vampire Killer. Whoever holds Mjolnir is granted the power of All-Speak. All-Speak is the supernatural ability to understand any form of language, human or alien. It is only available to the Gods and the ones who posses the Mjolnir. In the 90’s, the DC-Marvel Crossover arc gave the fans plenty to drool over. In one of its issues, Wonder Woman successfully lifts Mjolnir before her fight with the X-Men’s Storm, proving her worthy.